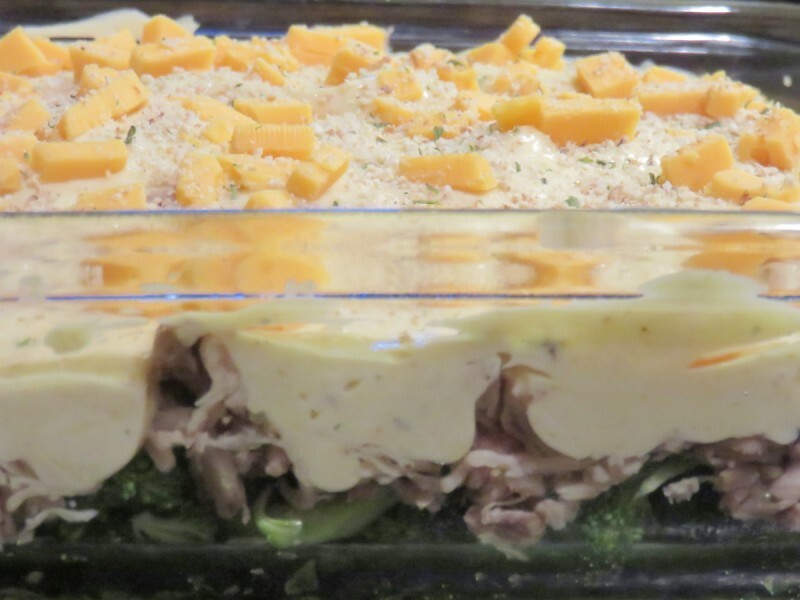 My Mom’s Chicken Divan recipe was my very favorite dinner as a child. I asked for it as my birthday dinner every year. When I moved out on my own, Chicken Divan was one of the recipes I asked my Mom to type up on a recipe card for me. Over the years, I’ve switched to using fresh broccoli instead of frozen broccoli spears and increased the curry a bit (I LOVE curry! ), but otherwise it’s basically the same as what my mom put on the dinner table. As a kid, all I cared about was how my food tasted. Now that I’m doing the cooking, I appreciate how easy it is to make Chicken Divan as much as I love how it tastes. It’s also the only recipe that I haven’t been able to give up when I shifted away from cooking with canned soup! While I normally make this recipe with chicken, it is the perfect way to enjoy leftover Thanksgiving turkey. If you are making chicken or turkey just for this recipe, you can cook it however you want but stick with something that doesn’t have a lot of coating on the skin or too much spice. 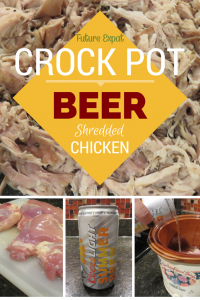 My Crockpot Shredded Chicken and Crockpot Beer Shredded Chicken are both perfect for this recipe, but you can also use store bought rotisserie chicken or just about any baked chicken recipe. This recipe is simple enough for a cooking newbie. Start by preheating the oven to 350 degrees. 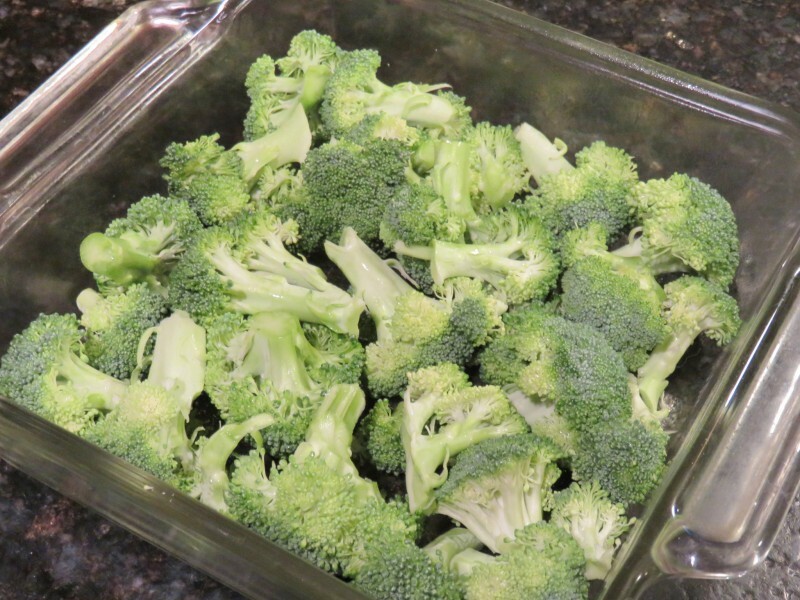 Then place your broccoli over the bottom of 8×8 glass baking dish that you gave a light coating of cooking spray. I personally use just the florets, but if you like the stems too, I suggest you follow this blogger’s tip to get rid of the bitterness that you can find in broccoli stalks. Evenly spread out your chicken or turkey across the broccoli. Be sure to use bite sized pieces of the chicken…it will make serving so much easier. Next mix together the mayonnaise, soup, lemon juice and curry powder. 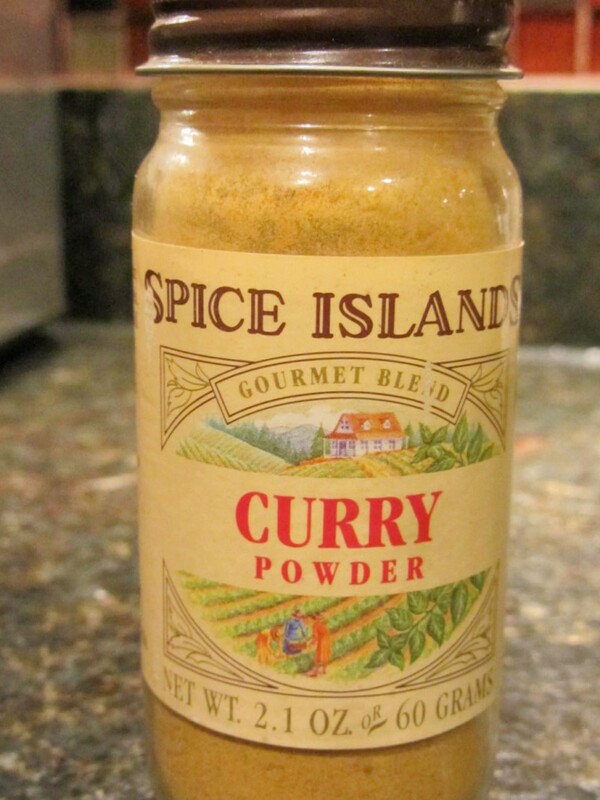 Be sure to use the mild sweet curry you find in regular grocery stores in America, not a spicy Indian or Thai curry. Spread the mayo soup mixture over the chicken and then top it with the cheese. I normally would have grated the cheese for this recipe, but my grater broke and I only remembered I hadn’t purchased another one when I hit the point that I needed to grate my cheese. Rather than pulling out the food processor to grate such a small amount of cheese, I did what my Mom did. She used American cheese or cheddar cheese slices for this recipe, and simply cut the slices with a knife into small pieces. I know it doesn’t look like a ton of cheese but I encourage you to go light on the cheese. You aren’t trying to smother everything in cheese. You just want a little to give you a mix of flavors in each bite. The last step is to sprinkle bread crumbs lightly across the top. I never measure here…just shake the canister lightly from side to side. I use the store bought Italian bread crumbs, but I’m sure this would be great with homemade bread crumbs too. If you preheated your oven at the beginning, your oven should be all ready by the time you finish assembling everything. Pop the dish into the oven and bake for 25-30 minutes, or until everything is bubbly on the edges. Keep an eye on it at the end so the cheese doesn’t brown. 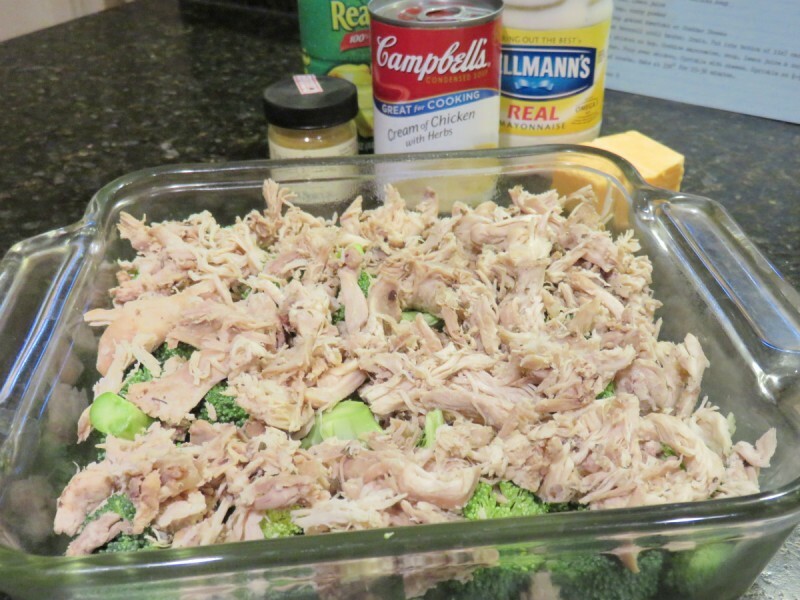 If you are using leftover chicken or turkey, this recipe should take you 10 minutes to assemble. While it is cooking, you can put together a salad, rice or potato. In about 45 minutes, you’ll be sitting down to dinner with a delicious meal that everyone will like. Does someone in your family hate broccoli? I’ve made this without the broccoli on the bottom too for an easy chicken dish. 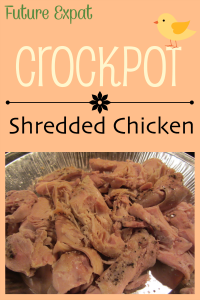 Printable recipe card below…click on the + sign for nutrition information for this chicken recipe. Try these recipes to make your chicken the day before you want to make chicken divan. Sounds yummy and everyone loves broccoli around here, so the recipe is perfect for our family. Thanks for sharing! 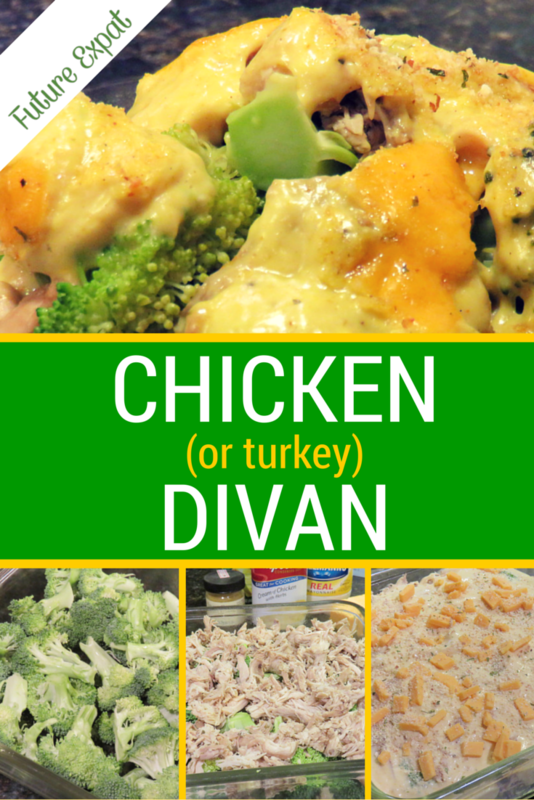 This chicken divan recipe sounds amazing. Thanks for linking up to the Bloggers Brags Pinterest Party! I’ve pinned your post to the Bloggers Brags Pinterest Board. I really enjoyed this dish — so easy to prepare and flavoursome. I used a Roasted Garam Masala curry powder and it had a good curry flavour and aroma. Delicious, I would normally serve this with rice but in this case I served potatoes and they were vey well received. I will happily make this again, definitely falls into Comfort food for me 🙂 Thank you for sharing! I made this for tonight’s dinner, and it was fabulous. 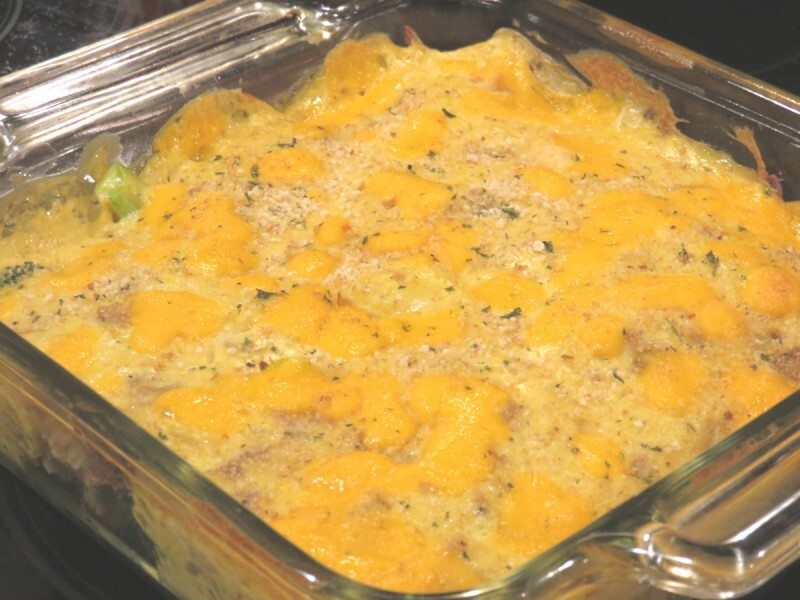 My mom made Chicken Divan often while we were growing up, and we loved it. But this is much tastier than I recall from my past. I think it was the curry that propelled this dish to stardom, as my mom’s was good but not THIS good. Thanks, Karen/Future ExPat. My mother made Chicken Divan when we were growing up. It’s become an old family favorite. My sister hosted a high school senior party and served this dish. Tossed salad and Chocolate Mousse. She and her classmates ate everything. Looks amazing! 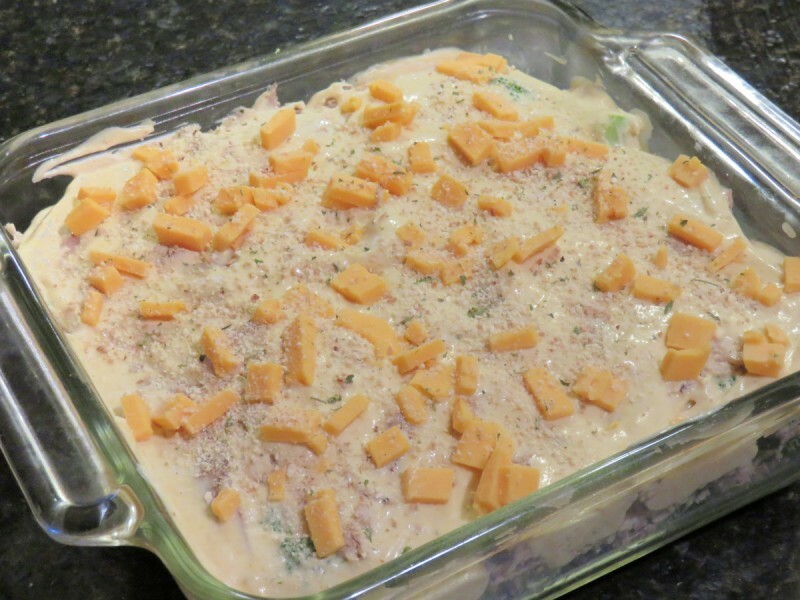 I grew up on Chicken Divan and it’s always been a favorite. I too stopped cooking with canned soups, but not until I learned how to make all the “cream of ….” soups from scratch. Super easy and they work well in this recipe as well. I just found them via pinterest. Made as written for the FYC Tag Game & this was excellent, Karen. 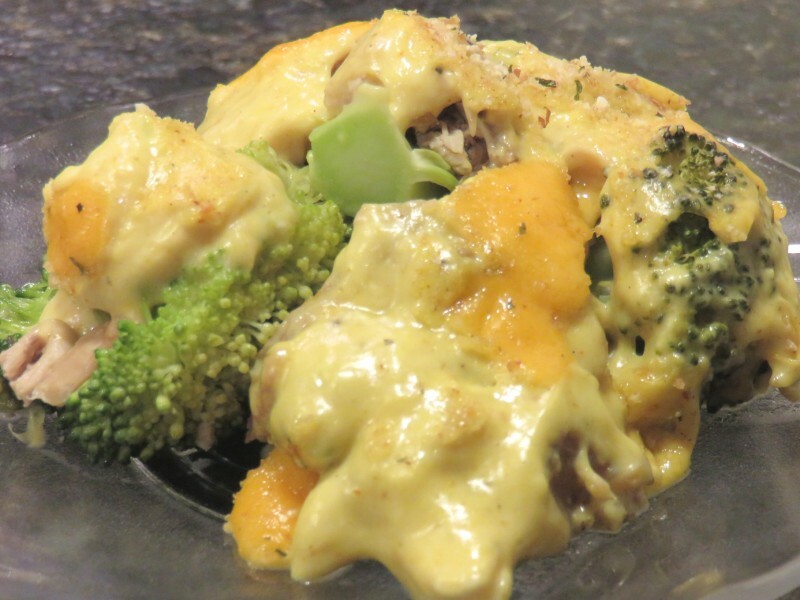 I’ve had chicken divan before, but it was never this good. The only real difference was the curry flavor & what a difference it makes! Even my Siggi who is usually tough on recipes said this was a very good dinner & he looks forward to seeing it again on our table. That was pretty high praise from him, so thx for sharing this sure-to-be-repeated dish w/us. Yum! Thank you for such a wonderful review. I agree that it’s the curry that totally makes this dish special. This was one of my favorite dishes as a child, because of the curry, even though I wasn’t all that fond of broccoli at the time (now I love it!). My family took this recipe to another level. Cutting raw chicken breasts into bite size pieces then dip in egg and a fine bread crumb lightly seasoned. Sautée in butter and then continue your process. I also added our cream and heavy cream to make it more saucy. Of course u need to increase your curry and lemon. Sautee your breadcrumbs as well before topping . It is more involved but worth the effort. Glad to hear that you used my recipe and made it your own. Happy to hear you liked how it turned out. My recipe calls for cutting a slice of soft white bread into small cubes (about 1/2 cup) and then combining them with a tablespoon of melted butter. These croutons are sprinkled on top of the dish with the grated cheese. They are my favorite part of the recipe. I love the crunch. That sounds really great. I’ll have to try that next time! Use to make this for my kids years ago, but somewhere in the recipe I had it called for eveporated milk. So glad you posted this I had forgotten about this dish. Can’t wait to make it again! How could you make this for a large party for 30? You’ll need to double or triple it, depending on how many other dishes you are serving. I have been making this exact same recipe for close to 45 years. I got this recipe from my husband’s Mennonite family back when we first got married. I too, use fresh broccoli florets and Italian bread crumbs although his family did not. I always serve it along with pickled red beets and eggs my Mennonite MIL taught me how to can. Thanks for putting this recipe out there for others to enjoy! This is one of my all time favorite recipes!! I do, however, prefer buttered corn flakes as my topping. FINALLY & THANK YOU!! This is the exact same recipe my Mom’s family has used for generations. It is always requested by us kids when we come back home. The recipe is simple but my Mom’s cooking measurements of a skillet of chicken, some broccoli, can coc then about half that same can of mayo, curry to taste etc. Lol, it’s easy to make, hard to explain; as I’ve put it. So thank you for the simplification, and not adding rice! I completely understand. My grandma and mom both did that to me with some old family recipes. For some of them, I forced my grandmother to give me amounts or made the recipe with her so I could write things down. I’m guessing that both of our families got this recipe off the same can of soup years ago! so is there no need to cook the broccoli beforehand? Correct. Raw or frozen broccoli can be used. 5***** Wow, Karen – this was so easy and delicious! I really appreciate that you list the ingredients first and then show how to do it – so many blogs have lots of words to scroll through before you see if the ingredients are something you’d like. So thanks for that! I noticed your warning about the curry powder – did I listen? No. The only curry powder I happened to have was some my friend brought back from India and it turned out to be on the hot side. Delicious anyway!